May this series of pictures be a metaphor for the Holiday, while its good to be comfortable in the fog of your immediate surroundings, what wonders and perhaps dangers are revealed when our vision clears. 2a. Models continue to tease a stormy weather pattern for much of the West Coast. Not exactly the much hyped “pineapple express atmospheric river” event yet . But still a series of wet and windy storms in the early days of December for much of the West Coast. 2b. 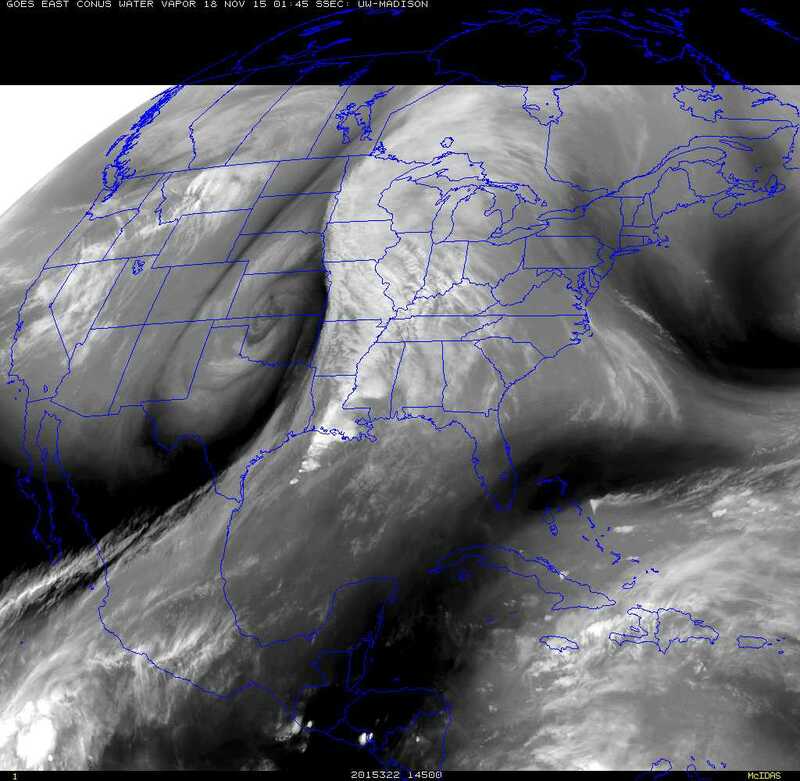 500millbar forecast above shows the air flow at mid levels of the atmosphere. Below, the surface, where we can track the highs and lows and monitor moisture distribution. With a brisk river of air flowing straight across the Pacific, the early targets are appear to be the Pacific Northwest and Northern California. This is a forecast map for Thursday the 3rd. Recent model runs tend to hold off significant Southern California rain until the following week so stay tuned. Just like, it is not really winter in the East until it snows in New York City. In the sphere of public opinion, It is really not a big El Niño verification until the streets look like rivers in Los Angeles and San Diego and that is not in the forecast in the map below. So we watch and wait. 3. It is the 65th Anniversary of the Great Appalachian Storm. Definitely a noteworthy storm. 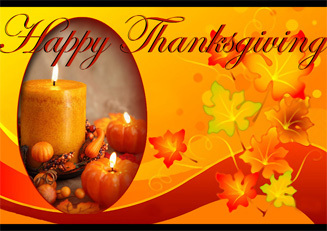 It is remembered for the coldest November temperatures in the south, single numbers in Birmingham and Atlanta. It is remembered for 100 mph winds in New Jersey and New Hampshire. And for some it was a blizzard, over 30 inches of wind blown snow paralyzed portions of Ohio and West Virginia. In November of 1950 the ONI was -0.7 indicating La Niña. Below 500millbar jet steam flow and old time surface map for November 26, 1950. 4. During the colder weather season snowfall tends to take place near or under such “bubbles ” or “cutoff lows” in the jet stream flow as shown with the historic storm above. Below, the current 500millbar chart would suggest more snow on this Holiday across the Great Basin and portions of the Intermountain West. 5. A very busy chart below, please be careful if you must travel this Holiday. The weekly sea surface temperature anomalies posted for the week of November 18 continue to climb in the 3.4 Niño region of the Pacific. This year’s sea surface temperatures have surged ahead of the record pace of 1997 El Niño . A +3.1 is a most extraordinary weekly reading. It will mean a lot more if this extremely high reading will linger for the next two or three months. If these extreme anomalies do last through January into February, it will be a very interesting winter indeed. Map below clearly illustrates the El Niño warming stretching for 6000 miles along the equator from the South American coast to near 180 degrees or the International Dateline. Current long range forecast showing signs of wetter weather pattern, an “atmospheric river” type configuration across the Pacific and into the West Coast including California. Despite a few healthy storms farther north, the Southern Sierra Nevada still look rather light on the snow cover. All this should change with the Holiday storm later this week and the pattern above developing by early next week. Note the green grass on foreground hills, a sign of some recent moisture. Forecast map from a week ago. I shared the below forecast map below in this blog a week ago, November 11. Forecast map of 500mb flow from the Nov 10 18z run for Thursday Nov 19, 2015 at 12z or 6am Central Time. 36 hours ahead of the forecast map above, but pretty good on position and strength of major features, especially the big storm centered on the Kansas, Oklahoma border. Also note digging trough across western Canada and the big ridge along the east coast. Forecast model did pretty well with second significant storm in two weeks. 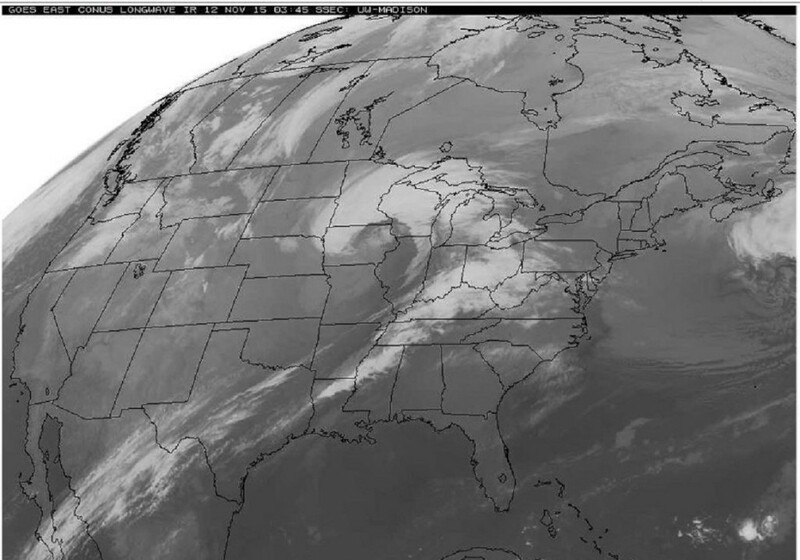 Notice the center of the storm on satellite image below matches position of 500mb low above. Afternoon and sunset snapshot showing only thin snow cover high in the Southern Sierra after this weeks fast moving storm. Current weekly numbers exceed strongest El Niño year. The most recent weekly sea surface temperature anomalies continue to climb in the 3.4 Niño region of the Pacific. After trailing for several weeks earlier this season, this year’s sea surface temperatures have surged ahead of the record pace of 1997 El Niño . One more time, … current weekly readings show this year is ahead of the record season. The current weekly numbers exceed the two strong El Niño years of 1982 and 1997. We are truly witnessing history, … and much more history is soon to be written. Again a side by side comparison, 2015 and the record 1997, the last four weeks of sea surface temperature anomalies. The NWS Warnings page on Monday evening nicely illustrates the current storm. 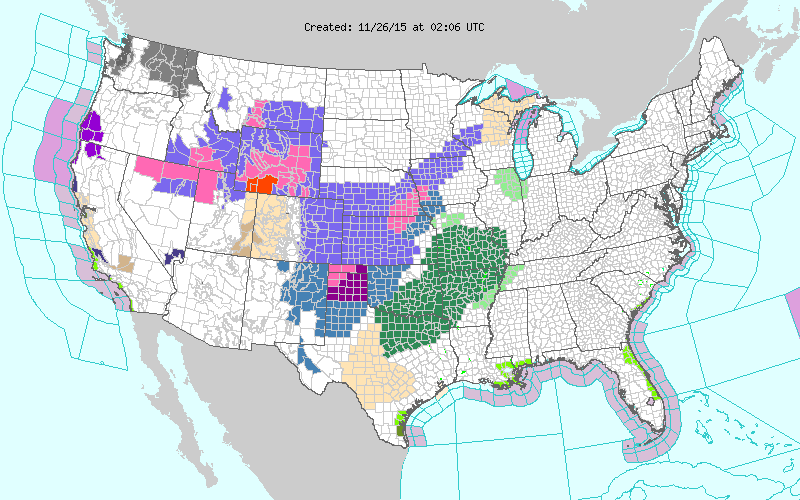 Winter Storm and Blizzard Warnings sitting right next to Tornado Watches and Warnings. This snapshot catches 6 Tornado Warnings in effect at the same time. That is a little unusual and scary, this activity is occurring after dark in mid November. A little taste of what the storm left behind in California. A quick update on the forecast models, despite various similar configurations during the day on Wednesday, this overnight run looks very much like yesterday’s stormy run, except a day early. I like this forecast panel because its a great illustration of high amplitude flow. Big storms but also big highs. If this forecast panel is close to actual, then while a storm rages in the middle of the country the east coast will feel like summertime in November. One region getting pounded and destroyed while another area is dry and pleasant and cannot imagine what all the fuss is about. In Chapter 2 of my latest e-book El Niño: The WILD side of the weather cycle… I describe how El Niño may fuel a series of storms over a particular region, and those storms release energy. That released energy can build big warm dry ridges. I do believe forecast panel below could be considered evidence of El Niño already hard at work disrupting North America’s weather pattern. It is happening, … the focus is shifting from the Pacific tropical season to the active and sometime deceiving winter pattern across America. The 500mb map above shows the flow, the jet stream. The surface map below shows the moisture, rain and snow, and temperature. Where the green shading occurs with the blue lines, northwest of the “L” in Kansas, snow is the more likely form of precipitation. The purple line down the Mississippi Valley is probably severe weather with flooding rain. With the balled up nature of the 500 flow the band of precipitation would move rather slowly increasing the flood threat. So, big hook or broken 9 of precipitation draped across the north central states down to the Gulf Coast in the forecast for next Wednesday. And Deja Vu, from national radar and satellite from this Wednesday evening November 11, 2015, a big broken 9 draped over the of the north central part of the country. Picture of the Day shows a snow covered Mt. 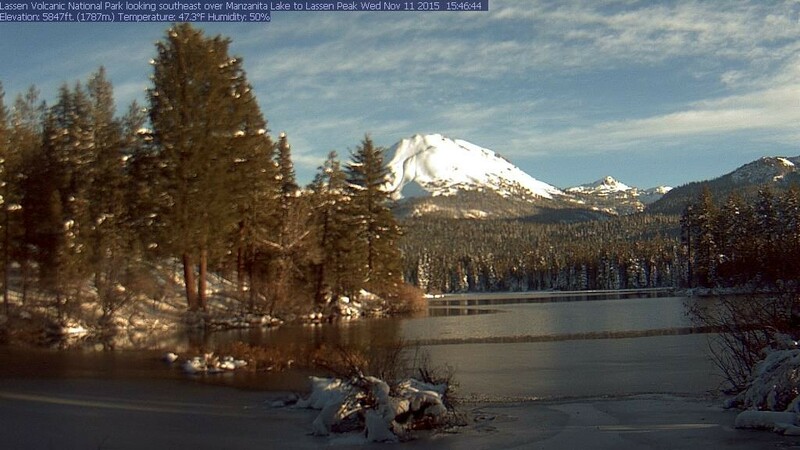 Lassen in the afternoon sun. The mountains of Northern and Central California have whiten in early November as some moisture has actually worked into the region. The most recent weekly sea surface temperature anomalies continue to show extreme warming in the 3.4 Niño region of the Pacific. After trailing for a few weeks in October, this years sea surface temperatures have pushed ahead of the record pace of 1997 in the last two weeks. The + 2.8 posted for a week in early November far exceeds the most recent monthly ONI value for October which was +1.7. So the current ONI value is still likely to increase in the next month or two as the warmer temperatures from recent weeks are factored into the longer term averages. So we are still talking truly serious historical crap here. We need to keep an eye on what is next. 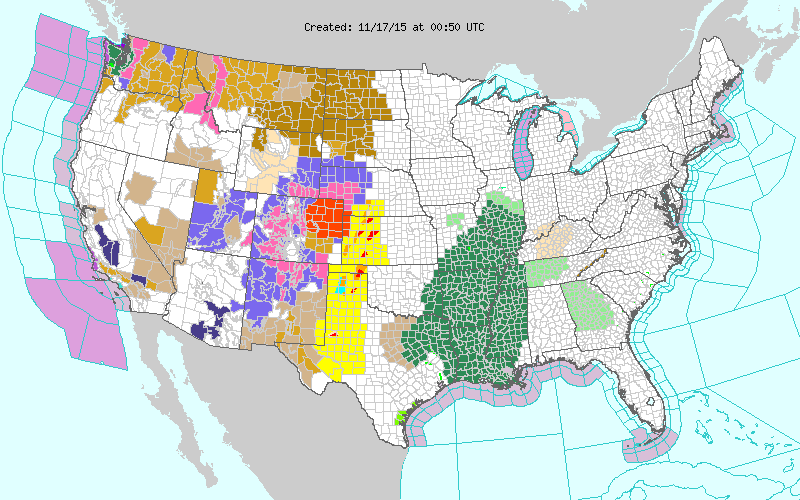 Currently that means beware of severe weather on Veteran’s Day in central parts of the country. If above produces severe weather, tornadoes and blizzard conditions. What can we expect from something that looks like below. Still 8 days and many models runs away, but definitely the type of bizarre weather pattern that folks in the central part of the country need to know about in advance. Everyone could use some forewarning and preparations before a storm of this magnitude. October should have been the quiet pleasant month, November gets stormier in the “average” year. 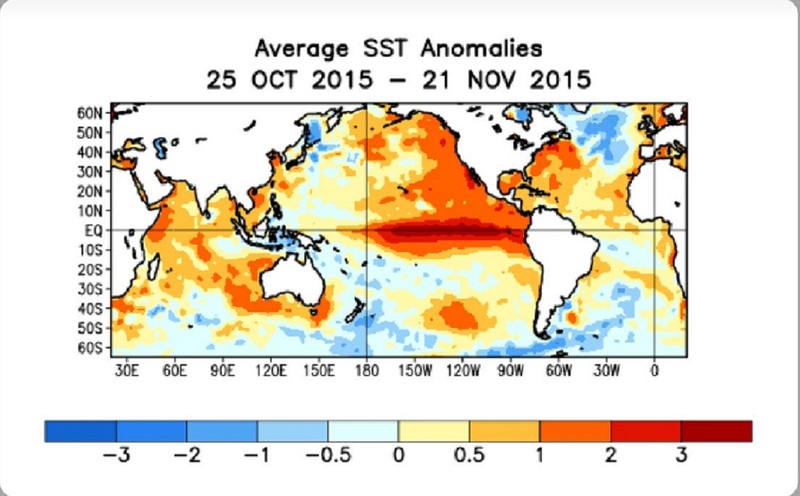 With a current weekly SST anomaly of +2.8, this November is not expected to be “average”. A sign of the changing season as well a sign that rare moisture is beginning to arrive in the still parched Sierra Nevada. First picture at 11:23 am looks foggy but look closely and you can see the snowflakes against the gray sky. 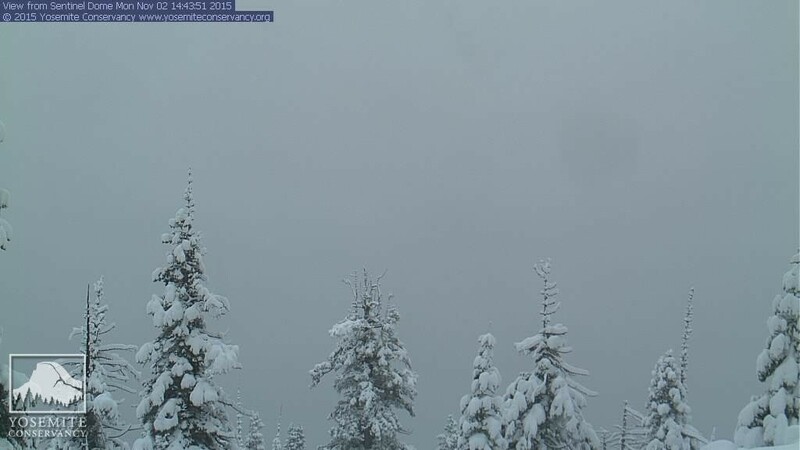 The next picture looks like 2:43pm, over three hours later, and you can see the accumulation on the conifers. Thanks to the Yosemite Conservancy for their many windows into this extraordinary park. 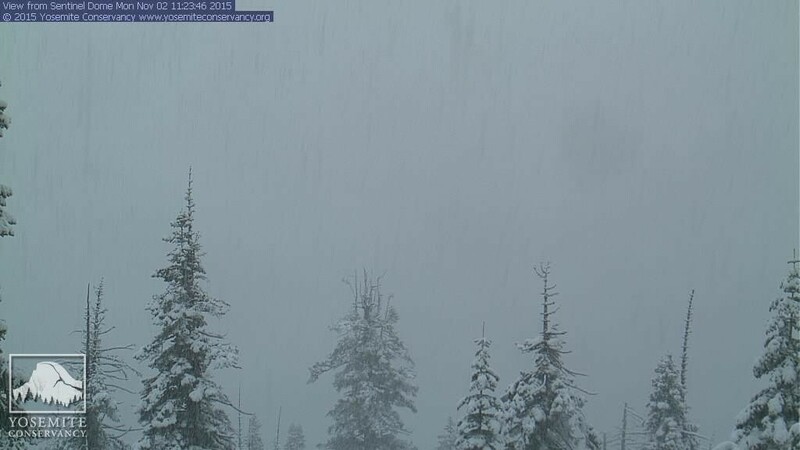 This is the sentinel dome view with a camera elevation near 7500 feet. The weekly sea surface temperature anomalies in the 3.4 Niño region of the Pacific continue to be impressive, especially when compared to 1997. The most recent reading of +2.7 is the warmest weekly value since December 1997, when that event was near its peak. October weekly values averaging +2.5 will most certainly have an effect the more complex three month running average. The most recent posting from the Climate Prediction center and the weekly expert discussion. Weekly numbers for 1997 and 2015 run along the side. When I published the book the weekly reading in the 3.4 Niño region was +1.7. A month later updates were made to include weekly anomaly reading of +2.4. 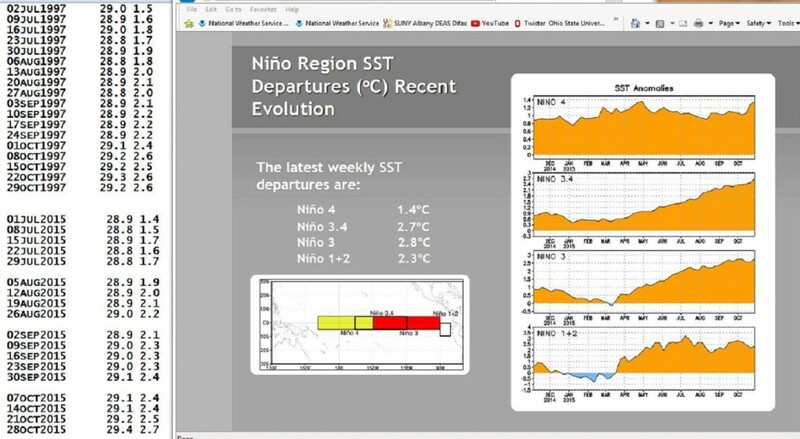 This posting shows +2.7 in the 3.4 Niño region. I present all this to impress you with the fact, that we are all in serious trouble. The 20 inch floods of October were not just a spell of bad weather. 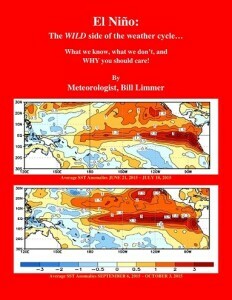 They are the product of a periodic oceanographic and meteorological worldwide teleconnection otherwise known as El Niño. The numbers presented above illustrate our current event, 2015, is as strong as 1997 and still growing. In theory, the most significant impacts from El Niño can be expected across North America during the winter months. 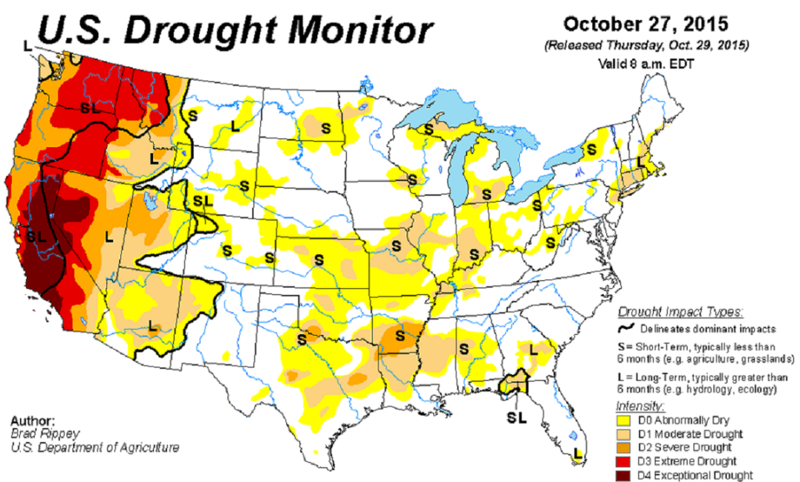 So, three historic 20 inch rain events in the 5 weekends of October seems a little excessive. Display below shows Texas rainfall for the last 8 or 9 days actually, although the label says 14 days. 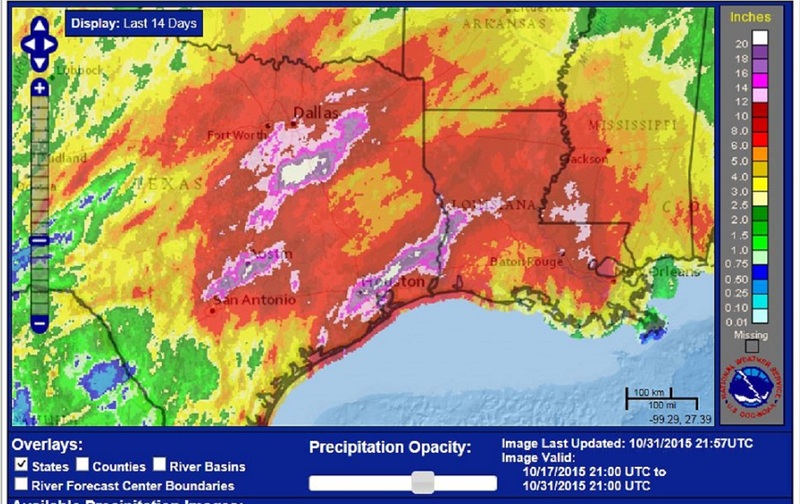 The white shading south of Dallas is associated with the 20 inch rains related to Patricia over a week ago. The white shading south of Austin combines Patricia rains with what happen Friday morning to give another area of 20 inch totals for the 8 or 9 days. And more white shading near Houston, much of that fell Friday night into Saturday morning. 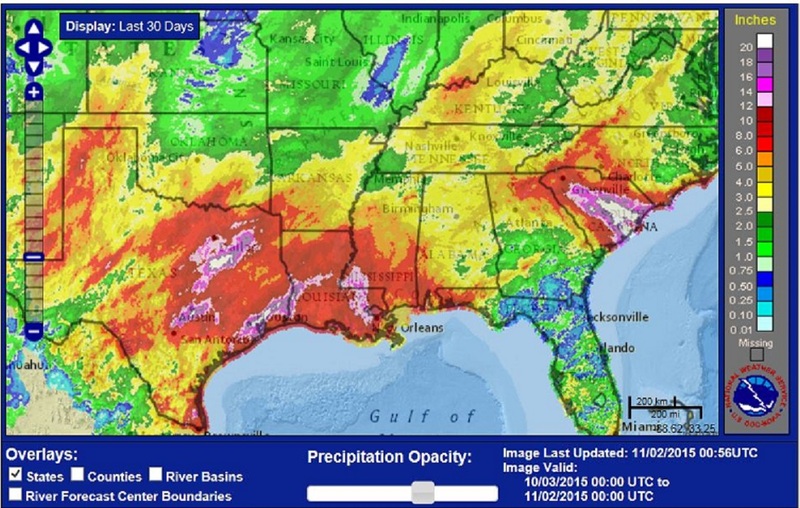 During the last two weekends of the month it has been Texas and Louisiana underwater, but back at the beginning of the month it was South Carolina. Check out the 30 day totals for October, four different areas with rainfall totals in excess of 20 inches. In the spirit of two sides to every story, the positive impact of the recent floods in Texas is drought relief. Much like California, parts of Texas have also been immersed in a long term drought. 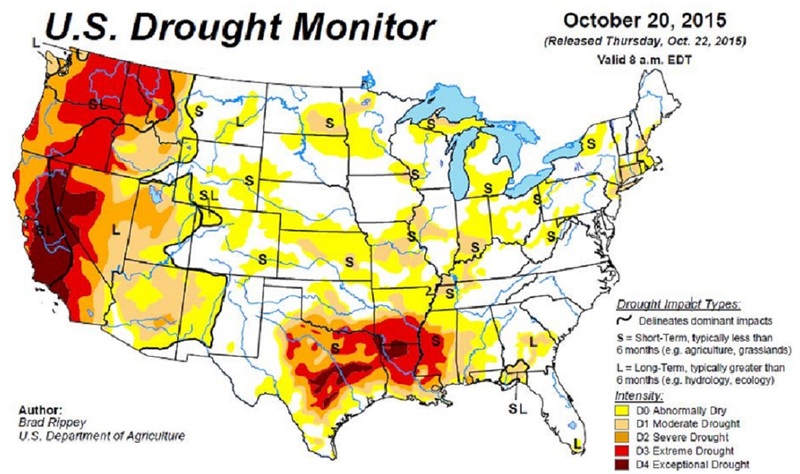 After the big May floods, Texas went back to a super dry hot summer. But notice how the deep reds, illustrating dryness in these frames, just disappears from Texas and Louisiana in just a week. The great California hope is that El Niño will do the same for the Golden State.